A reader wrote us to say he’s barely able to connect to the Internet wirelessly, even though his phone is just 20 feet away from his AT&T router. Two bars is the best he gets. We told him to call AT&T, since they’ll replace his router or add a booster for free; it’s part of the monthly contract. However, that may not work. What he’s opened up is a much larger problem that many people experience, and it’s definitely worth going into. It is a trickier subject than it first appears. 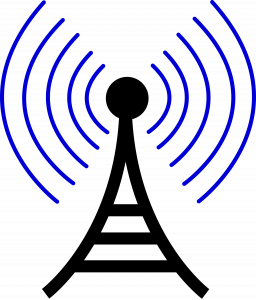 The subject of radio broadcasts (which is what your wireless modem is doing) and receiving them is a special field of its own in electrical engineering. Antenna design can require some heavy mathematics. Even when the calculations are right, the results are often dicey. Broadcasts can be affected by changes in air temperature, moisture and most of all by what is in between — particularly walls, the thicker the worse. For instance, we couldn’t get a wireless Internet connection to our bedroom, even though it’s just 25 feet from the office router. Naturally we called AT&T. A technician came out and installed a Netgear booster but that didn’t help. We gave it back to AT&T and bought a “Google Wi-Fi,” which is a signal booster slightly thicker than a hockey puck. At first, it worked perfectly. But after a few minutes the signal dropped out. At that point, Bob brought up the three magic words of wireless reception: “line of sight.” Manufacturers of modems and other signal generators will typically claim a “range of up to 200 feet,” Yeah, if everything’s perfect. They’re talking about the line of sight between broadcast and receiver being clear of all obstacles. Walls are obstacles. Joy had put the Google Wi-Fi booster next to the office modem. It seemed reasonable, but from there the wireless signal had to go through a closet stuffed with extra equipment and cables, through two tiled bathroom walls, a hall bookcase, then a bedroom wall and all 20 volumes of the Oxford English Dictionary. Books can block an astonishing amount of radiation. By simply moving the Google signal booster (it has a long cord) so that the signal only had to go through one wall, it was Bingo time. The signal to the Amazon Echo Dot (you know: Alexa) in the bedroom was strong and constant. This will work for anyone with reception problems: remember “line of sight.” Keep that transmission lane as open as possible. An observant reader could point out we might have improved signal clarity just by moving the AT&T router instead of buying a booster unit. The AT&T technician should have thought of that too, but didn’t. In any event, it was worth a few bucks to get a booster that can be moved around to get the best line of sight. It’s hard to leave your browser. We remember the first one we ever tried, Netscape Navigator, back in the 1990s. Then there was Internet Explorer (in all its many incarnations), Firefox, Safari, Opera, and Google Chrome, which we’re sort of stuck on. However, the new Vivaldi browser is really interesting. Vivaldi is available free from Vivaldi.com and places a lot of extra tools at your disposal. Click the “Notes” icon to make a to-do list or notes page that lives next to the main window, but can be toggled on or off. Click the downloads icon to see your recent downloads. If you tap the F2 key on your keyboard, you can get a list of things to do, such as clear your browsing data, get a list of keyboard shortcuts, open a privacy page, and so on. If you close a tab by mistake, just click the trash can. It has a list of everywhere you’ve been. Vivaldi comes with a lot of built-in recommendations for where to go on the web. Click on the bookmark symbol to see folders full of possibilities. Under technology, there are over 20 leading sites. There are lots of options under entertainment, news, travel, business and games too. rase “9 Reasons to Switch to Vivaldi.” A reason not to switch? Adding an extra layer to Chrome, as Vivaldi does, could slow things slightly. 99bitcoins.com has a list of who accepts Bitcoins, the virtual currency. We were surprised to see Subway, Microsoft, Dell, Bloomberg, Expedia, and T-Mobile Poland on the list. A single Bitcoin now trades around $2,600 in US currency. “Fifteen Crazy Things People Have Found in Their Homes.” Google that phrase to find an amazing list. A husband and wife found a Marvel comic book from 1938 worth $1.5 million. Another family found a fully-stocked servants kitchen, complete with pots and pans hanging on the wall, hiding behind junk in the basement. A couple others found cash –$45,000 in one case, $50,000 in another. “High Jump: Cosmos, the Infographic Book of Space.” Search on that phrase to find out how high you could jump on Pluto, a comet, the moon, and many other places. When you click “jump,” you see a stick figure jump. On Pluto, you could jump around 25 feet. If you made it to comet “67P,” you could jump thousands offeet; landing would be tough though. “Most Interesting Libraries in the World.” Google that for quite a show of beautiful places to read a book. 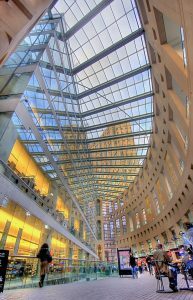 Google “28 Most Spectacular Libraries” for even more. Worth traveling.